Markus’s love to matrixes and repetitions as means of protection from the fast-changing world is highly exaggerated in the model of a real matrix build in a big space without windows. 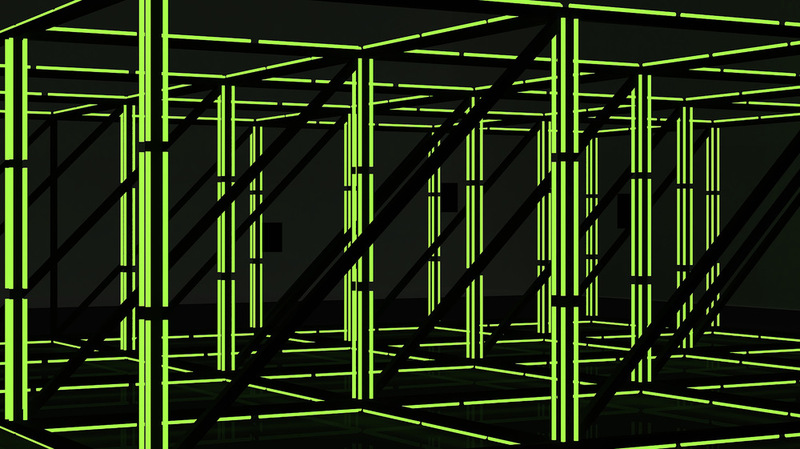 According to Markus’s idea this is a construction higher than an adult person, consisting of numerous connected cubes 200x200x200cm with neon lights on the edges. Viewers can walk into the structure and feel the system of the world, because the nets are everywhere even inside our bodies. The viewers can just stay inside or go and search for the little artifacts that the artist leaves of the edges of the cubes (photos, phrases, pictures) or sit down on pillow chairs or special sits in some areas of the matrix and feel the vibes of unity with all the others inside the matrix.